hd00:12KRABI, THAILAND - JANUARY 2016: summer day tourist famous crowded krabi island beach hd circa january 2016 krabi, thailand. 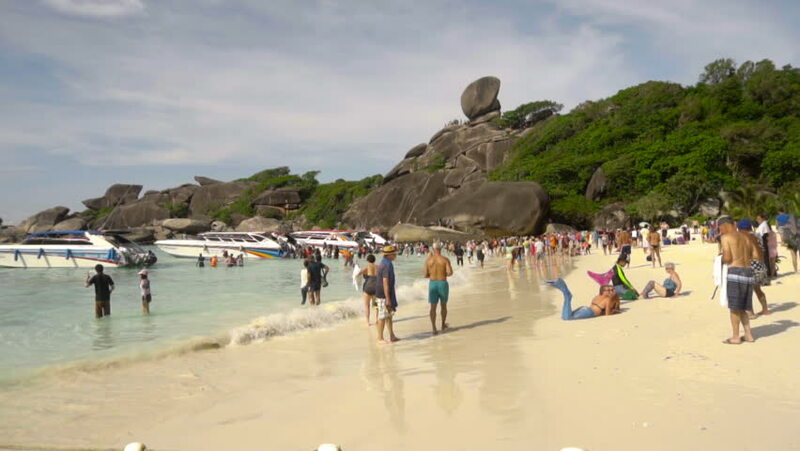 hd00:34MAYA BAY, THAILAND - NOVEMBER 12, 2014: Crowds of sunbathing arrive on day trip boat rides to Maya Bay, one of the iconic beaches of Southern Thailand. hd00:12PHUKET, THAILAND - JANUARY 2016: sunny day famous krabi tourist crowd beach panorama hd circa january 2016 phuket, thailand.